Status bars can help us out on browsers to have extra information in real time that can tell us if we have received an email or if a download has finished, for instance. These bars, that can be very useful, can also become a chaos if we have too many, that's why Organize Status Bar can become a great solution. 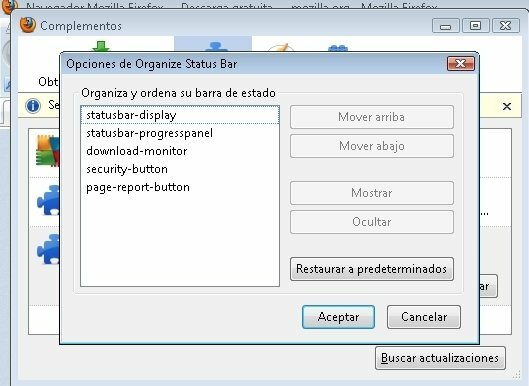 Organize Status Bar is a Firefox add-on that allows you to organise the status bars as you wish, being able to configure them so as to highlight those that are providing us with information at that moment. 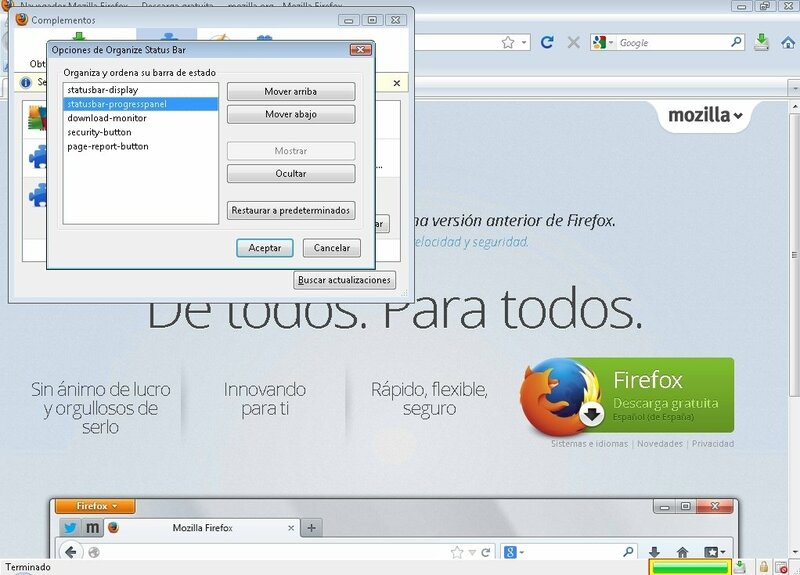 From the browser's add-on menu we will find the options necessary to configure their location as we wish. A simple and easy-to-handle add-on. 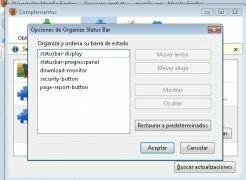 Organize Status Bar is a great way to keep up to date with all your browser's activities, without its notifications becoming untidy and maintaining our preferences at all times. 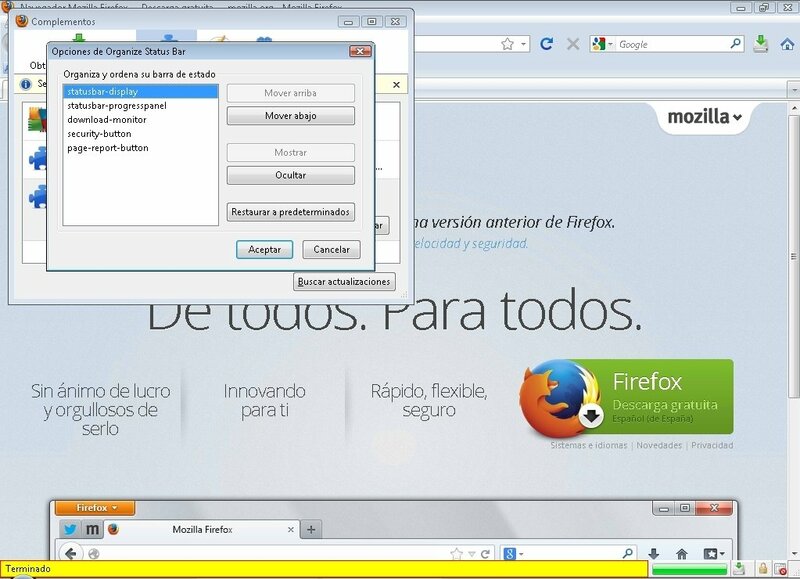 Requires Firefox 1.0 to 3.6.